During this program, your experience will include; lectures & case studies on clinical applications of the robotic surgical platform, hands-on time in simulation, wet & dry lab experiences, surgical case observation, and competency development in the skills required to safely operate the Intuitive Surgical da Vinci® Robot. The course will also include; developing efficiencies within the healthcare team and extensive evaluation of your skills during the course and includes a comprehensive follow-up evaluation following the course to ensure you are making the most out of your training. 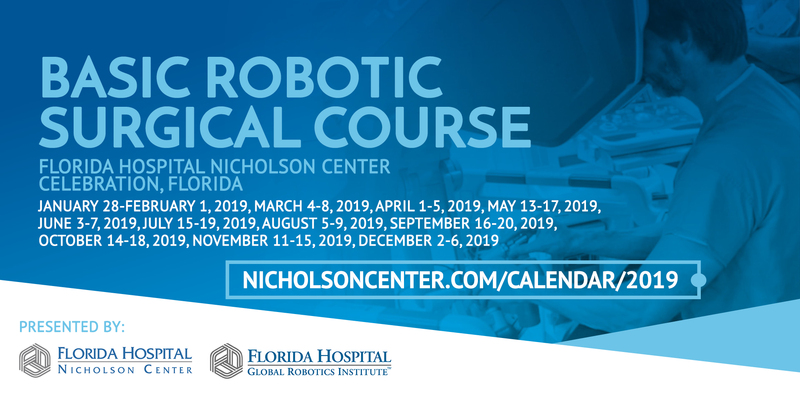 This training is available for surgeons, residents, fellows, nurses, and surgical technologists that are interested in safely transitioning learning into practice and developing competency in robotic surgical skills. The learner will be able to demonstrate proficiency in the following core robotic psychomotor skills; Endowrist Manipulation, Camera Navigation, Instrument Clutching, 4th Arm Application, Energy Application, Needle Driving, Surgical Knot Tying, and Suturing.